What’s Club 22? Its members are the masochists in your cohort that subject themselves to 22 credits per quarter. After Autumn Quarter and 22 credits, I figured that 22 credits wasn’t too bad after all. It seemed manageable, albeit taxing – but, more important, when would I have the chance to take these classes again, right? MSx CORE CURRICULUM: The core load in Winter was down to one class, which had both good and bad effects. The Sloan ’13 class explained to us that the cohort would start to scatter quickly in Winter Quarter, as students started taking elective classes apart from their cohort-mates. In the GSB electives, it would be quite common to have at least a few MSx’ers in each class, but even with a few MSx’ers these classes were dominated by MBAs and a small handful of students from “across-the-street” departments. While this was a great opportunity to meet a broader group of people, it definitely started to loosen the cohesion of the Sloanie cohort. We pretty much saw each other in large groups only in Marketing class and at social functions like the weekly TGIF events. People who lived on campus had a much easier time of keeping social groups and functions tight, but this was much harder while living off-campus (exacerbated by a Club-22 schedule). In short, during Winter Quarter, it is really important to go out of your way to spend time with your MSx cohort-mates as much as you can. MKTG 249 – MSx: Marketing: While there was certainly much to learn from this class, it wasn’t one of my favorite classes. Prof. Khan made a deliberate effort to speak to several students prior to the start of the quarter to get a really good understanding of what the student profile looked like, what the level of marketing experience might be and what people wanted to learn from this class. I applaud her desire to make the class useful for everyone, but I found that instead, the curriculum was a little disjointed and ambiguous – leaving many of us unclear as to the functional responsibilities of a marketing department within a company. For example, in the first class, Prof. Khan explained all the things that marketing would typically be responsible for – including customer advocacy, competitive analysis, branding, business development (external partnerships), product management and innovation, corporate communications (both internal and external), sales (if it is a combined sales & marketing department), managing cost of sales / ROI of sales & marketing, strategic marketing, marketing communications, promotion management, etc. Then, she proceeded to tell us that because we are all experienced professionals and more likely to need marketing understanding only at an executive level, so we’re not going to deep dive into any of these – but rather, concentrate on how an executive would manage these functions and hire the right marketing team. Ok, not what I personally wanted to learn, but that seemed like a reasonable plan of action. In reality, we spent most of our time looking at a strategic marketing framework and working on a couple projects around Google AdWords. This did not meet my expectations. I think it would have worked out much better to stick to the originally stated plan and cover all the sub-roles within marketing – sure, we don’t need to become expert at any of those tasks, but it certainly would be helpful to know how to identify a good product management or marketing communications candidate when I see one. So, for you newly minted Academic Chairs out there, be sure to keep an eye on this curriculum and help improve this class! GSB Electives: Since Winter Quarter was our first chance to really customize our schedules, soak up electives and finally enjoy super-round selections (maybe), it was probably my favorite quarter. It was much more interesting to take on a schedule that I had created for myself – and I think I put in even more effort because of it. This was also the time to seek out those legendary professors and classes to ensure that I didn’t miss the important GSB-exclusive experiences. ACCT 340: Alphanomics: If you have any interest in managing a public-equity investment portfolio (either professionally or for your own portfolio), you should definitely take this class. For those of you (like me before GSB) who don’t know what public-equities are, it is the class of securities that are publicly traded on one of many stock exchanges around the world (e.g. NASDAQ, NYSE, Euronext, JPX, LSE, etc.). Prof. Lee is one of the early pioneers and widely published academics in quantitative stock analysis – and he’s a fantastic instructor. This is hugely in contrast to the MSx core finance class, where Prof. Strebulaev teaches that it is highly unlikely that you will be able to beat the “market portfolio.” Make sure that you pay attention in ACCT 219: Financial Accounting and FINANCE 229: Finance if you want to perform well in this class – you will need those skills here. A note for Mac people – this is one of those domains where some of the tools are only available for Windows… So prepare to spend time in the RAIL lab and/or make sure you’re loaded up with Parallels or VMWare + MS Excel for Windows (there are a few macros and plug-ins that only work with Excel for Windows). 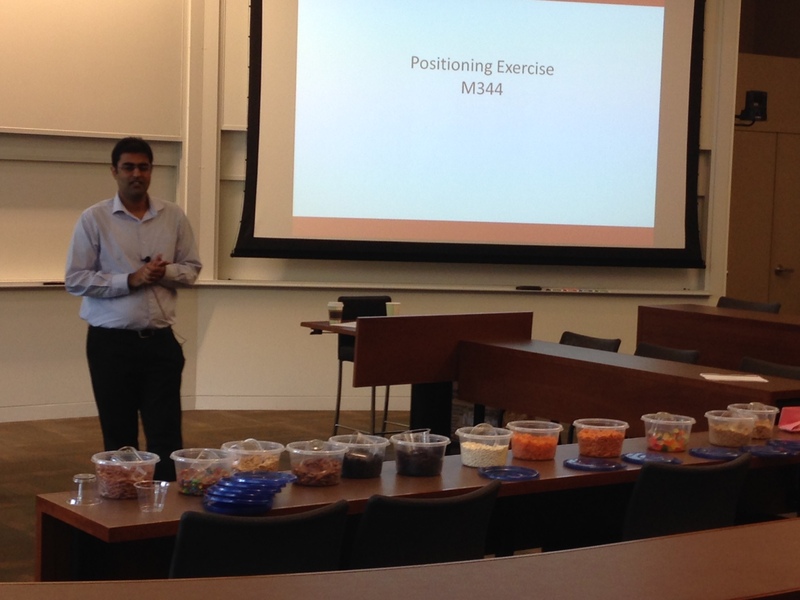 MKTG 344 – Marketing Research: Prof. Sahni’s class was a fun dive into the world of quantitative marketing. His curriculum focused on using quantitative methods (yes, you will need to have paid attention in OIT 249 – MSx: Data & Decisions (Statistics) – so be forewarned!) to help make marketing decisions and evaluate the success of marketing efforts. Although our project data collection methods were a little cheesy (we used Amazon’s Mechanical Turk crowdsource platform to run surveys), we certainly learned a lot about survey construction and sampling methods. We also learned about tools like conjoint analysis (we use some elements of conjoint analysis in our Hinted product) and cluster analysis – these are tools that you can use to quickly capture a large amount of reliable data from customers or prospects (or anyone else, outside the context of this class). Like most GSB electives, this class was mostly filled with MBAs – Erik Wittreich and I partnered with Veerle Daenen and Charmaine Kenny (MBA2s) for a fun group. We even worked on a trail-mix product, which should have won the class competition, but alas, the scoring criteria said we came in dead last. I think that was largely my fault too! We didn’t use inMaps for this class, but rather used a tool that Prof. Hasan built for his consulting practice. But, the idea was similar – to understand an organization’s bottlenecks, information brokers and key influencers, it’s really important to know the social network within the organization – this could help uncover why some departments (or managers) work well and others fail miserably. This class was certainly a quant class, but wasn’t too heavy on actual number crunching. Much like in our core Statistics class, Prof. Hasan was fantastic in class – very engaging, always very well prepared and entertaining to boot. This was also my first GSB “short class” – this class ran for a half-quarter. Since the amount of material was quite manageable, it was a nice way to get a dose without beating a horse to death. It was also a great way to fill a couple credit hole in my Club-22 membership! Time commitment: If you’re doing this class properly and taking it seriously, it will take a lot of time! Across-the-Street Electives: What isn’t clear in the public MSx program website is the ability for MSx students to take elective courses outside the GSB. In fact, students can take classes in any of the other departments / schools on campus – but some courses have specific restrictions / pre-requisites / instructor approvals that need to be met. But don’t take these at face value either – speak to the faculty if you find yourself in doubt. Some of our classmates were able to take Ph.D. level courses and I was able to take a couple Mechanical Engineering classes with highly competitive registration processes. For some of you (like me), you might find that one of your across-the-street electives turns out to be your favorite class while at Stanford. ME 103D – Engineering Drawing & Design (CAD): ME 103D starts as the most basic of basic CAD classes imaginable, then quickly accelerates into a class that is hard to keep up – then it is over. According to Explore Courses, this is a full quarter class – but our section was over in approximately 4-5 weeks. It is a quick 1-credit class that meets once per week and whizzes through the material. You will learn SolidWorks (at the most elementary level) and become reasonably proficient with 2D and 2.5D drawing (that’s taking 2D shapes and extruding them along linear or curved paths and combining with other 2D/2.5D features). It is also a co-requisite for either ME 203 or ME 318. This class could be useful for anyone who wants to build basic proficiency with a very powerful CAD tool. The workload for this class is very manageable, but builds on itself every week – so don’t fall behind! 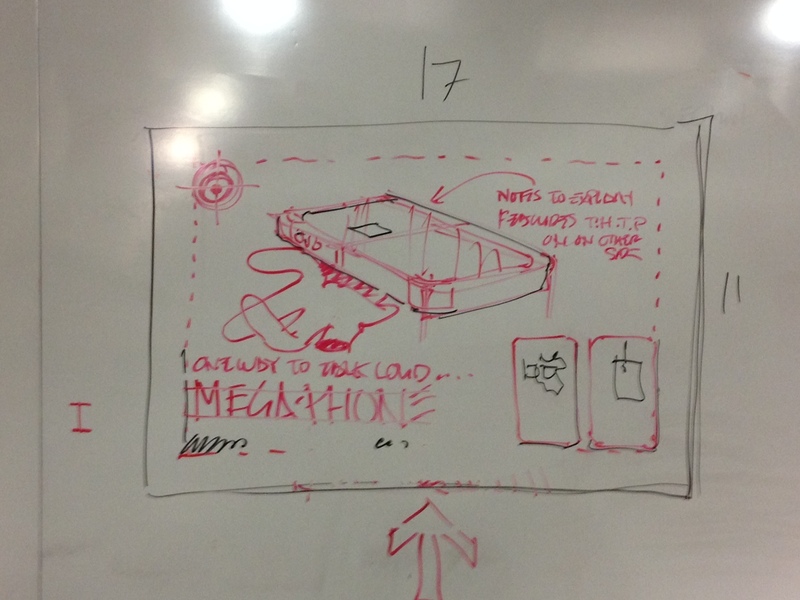 ME 110 – Design Sketching: If you always wanted to learn how to draw, but you are right-brain handicapped (like me), this class is a great way to gain a new skill. 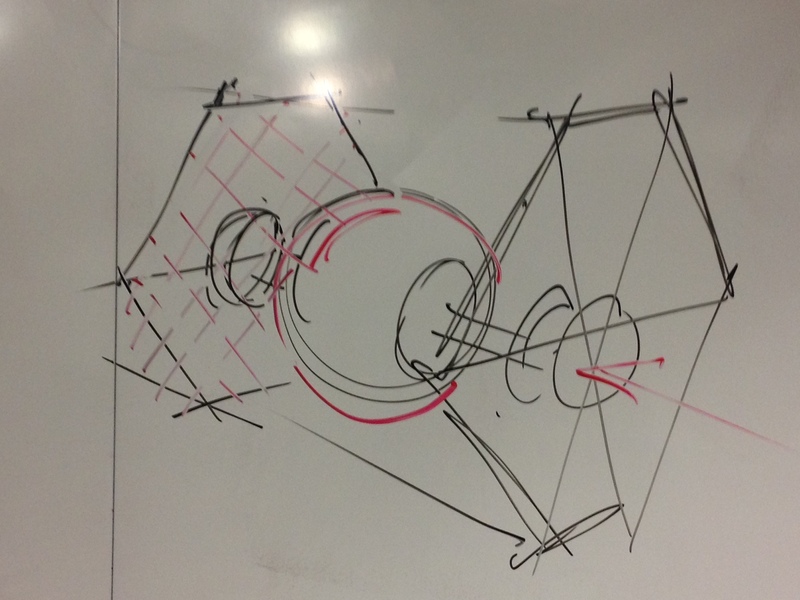 Most people think that you need to be an inherently good artist to be able to draw – but this class teaches engineers to use their analytical skills, mathematic reasoning (don’t worry, not as quant heavy as it sounds) and a little simple geometry to turn ideas into art. Sure, you probably won’t come out of this as the next Picasso, but you’ll be able to sketch quick product ideas in both 2D and 3D quite easily. Learn perspective, elevations and shading/rendering. This class is NOT DIFFICULT – but it can be very time consuming if you take it seriously. It is offered pass/fail (and it is a non-GSB elective), so there is very little risk in adding this class to your schedule. I can almost guarantee that this class will improve your whiteboard skills too – so if you can’t get into the d.school’s Whiteboard Warrior class, this class might be a good alternative. ME 318 – Computer-Aided Product Creation (CAM): Based on the amount of time I spent on this class, you would have to think it was my favorite class at Stanford. It’s not a typical class for a GSB’er to take – getting in is very competitive and there are some requisite skills (not too rigorous though). Because of the degree of specialization in this class and how much I enjoyed it, I’ll devote a separate post for this. Cut Early & Cut Often: Because this is a hands-on class, you won’t become proficient unless you spend time on the machines as early as possible and as much time as you can spare – this is not a leisurely class! Special note on ME 203: If you don’t have the requisite skilled to take ME 318, but you want to get your hands dirty in the PRL, consider taking ME 203 – throughout the quarter, you’ll cycle through all the PRL sections (e.g. wood working, metal & plastic machining, welding, metal casting, etc.) and gain basic proficiency in all those skills – but this class is extraordinarily difficult to get in, so go talk to Prof. Beech early! Please feel free to post any questions! This entry was posted in Academics, Engineering, Hinted, Sloan Misc. Bookmark the permalink.